On Wednesday I wrote a post about all of the cars Mr. ThreeYear and I have owned in our time together (it was actually about most of the cars we’ve owned. There were a lot!). 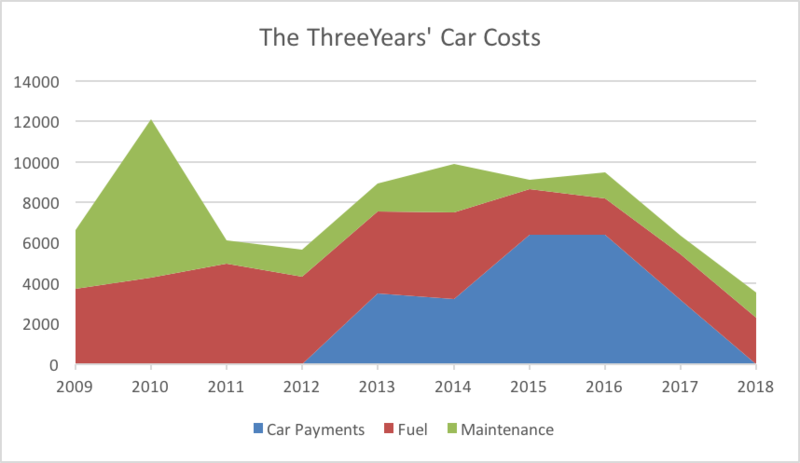 Today I thought I’d delve into the financials of those cars, or as much as I can remember and piece together, and see what the total operational costs of our cars have been over time. I predict that I will be shocked and disgusted by how much we’ve spent on transportation. A keystone to Mr. Money Mustache’s low spending is his reliance on bikes. Operating cars is one of the big three expenses that we’ve worked on reducing. But I suspect we’ve still spent a lot. I’m ignoring taxes and registration, although those costs can add a lot to the total, especially if you have new cars. 2009: In 2009, we were living in Atlanta and driving the BMW X5 and an Audi A4, I believe. Weren’t we cool. Maintenance: $2888.02 ($240.66 per month). Maintenance costs were pretty good this year. 2010: In 2010, we moved to New Hampshire. We switched the Audi A4 for a Volvo Cross country (which didn’t make Wednesday’s post). “Switched” is a mild word for the absolute debacle that was buying our next car. Mr. ThreeYear was working with a dealer who found him a Toyota Forerunner at auction. We bought the car and brought it home, and then a day later, I drove it to my sister’s house (four hours away) for a baby shower. Mine. Because I was pregnant. But, the car broke down on the side of the interstate, Atlanta interstate 85, because the engine just died. If you have ever broken down on the side of the interstate with 18 wheelers and all the other Atlanta traffic wizzing past you, with a two-year-old in the backseat and while pregnant, well, you know what I’m talking about. It’s also extremely fortunate that I grew up in a rural town in the South, and am comfortable hanging out with back-woods tow truck drivers and their wives. To ensure a simple and safe car transfer click on the Canadian Towing website. I don’t think that car dealer had a chance. Mr. ThreeYear was two hours away from me and by the time he got to the repair shop with the car dealer, we had been refunded all our money for the Forerunner and had a new Volvo waiting for us. Do not sell Mr. ThreeYear a car that breaks down on the side of the road with his pregnant wife and child inside. You will see his wrath. Wow. That was a bit of a tangent. Ok, let’s get back to the real topic at hand. Maintenance: $7859.36 ($654.95). This was the year the X5 needed all that work. If I had paid better attention, we should have sold it immediately after starting to need so many ridiculous repairs. Alas. 2011: In 2011, we sold the X5 and bought Mr. ThreeYear a Honda CR-V.
Fuel: $4950.35 ($412.52 per month). Unfortunately, I don’t think this cost is accurate. This is the first full year we lived in New Hampshire, and our little town has a gas station/grocery store where I’d often buy food. I think I categorized a lot of my food purchases as gas without realizing it, since the charges come in the same on my budgeting software. Records are only as good as the accuracy of your data, sadly. Oh well. We’re going to assume we spent less on gas since we didn’t drive more this year. But maybe we did. I was driving Junior ThreeYear to daycare three days a week in another town. Maintenance: $1182.12 ($98.51 per month). Ahhhh. Better. 2012: In 2012, we were driving the Volvo and the Honda. Fuel: $4294 ($357.83 per month). 2013: This is when we traded the Volvo for my Honda Accord. 2014: Hondas across the board: Accord and CR-V.
2015: Bored yet? Me too. We had just bought the Prius now, so we have both our current cars, the Toyota Prius and the Honda Accord. Do you see what that beautiful hybrid did to our gas expenses? Almost halved them!! Fuel: $1816 ($151 per month). I got a new job and a smaller commute. Fuel: $2271 ($189). I added another job and a longer commute. 2018: Current cars (paid off). We’re only halfway through the year so I’ll estimate based on what we’ve already spent. Maintenance: $1265.75. We’ve already spent a lot this year (and this month!) on maintenance because we’ve had to get two new sets of tires. In New Hampshire, you have to change out your car tires between snow tires and all season tires each year. And these wear out quickly, something like every three years, so we had to replace them on two cars (one new snow tire set and one new all-season tire set). Our total costs to operate our cars since 2009. In 2010, our total operating costs spiked to over $12,000, just for fuel and repairs. Luckily, now that our cars are paid off (and we won’t be taking on car payments in the future! ), AND we have the hybrid Prius which uses a small amount of gas, our total car costs are below $4000 per year. I think the only way we could get this down further is if we moved to a place where we didn’t need to use our cars as much (I’m always thinking about the future!). I’m always happy when we’ve managed to lower our total operating costs on a big category in our budget, so the downward trend of this graph makes me feel good. I didn’t talk about the opportunity costs of spending $12,000 in one year on maintaining and fueling our vehicles. If we’d had costs around $4000 for 2010, we could have saved that $8000 for our downpayment. We could have invested it and have just over $13,710 right now at 8% growth. Professionals at Fleet Wrap HQ in Denver will help to keep your vehicle on the road as long as possible. En fin… the less we pay on fixing and fueling our cars, the better off we are. How much do your cars cost to fuel and maintain? Are you on the higher or lower end of our chart? Or do you even own cars? Looks like a great life lesson to me ;). And like you said, at the end of the day, the trend is moving downward in every category, and that is so powerful. Expensive cars can be quite the drain on finances, especially those used European cars… something always seems to go wrong after some years, and they are so expensive to maintain! 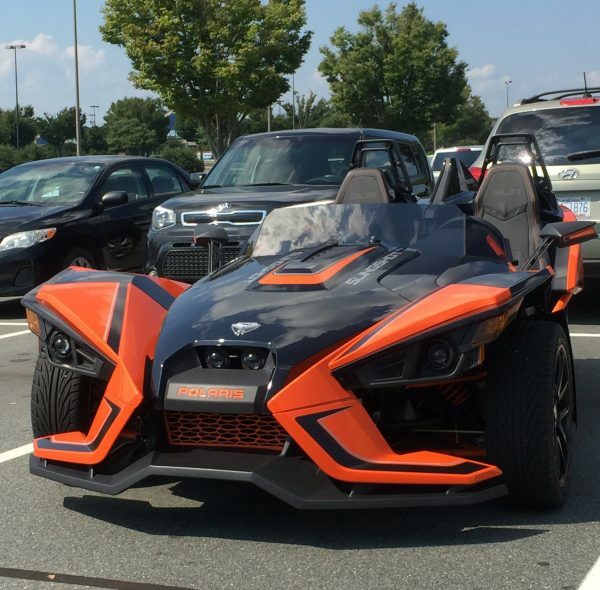 The only questions I have are why are you buying new cars and why are you borrowing to buy them? Both of those habbits don’t correlate well with reaching financial independence. Buying used cars with cash and driving them to 200,000 miles or extinction would cut your costs by more than 1/2. Steve, fair question. We bought used cars in 2013 and 2014, and almost always do. 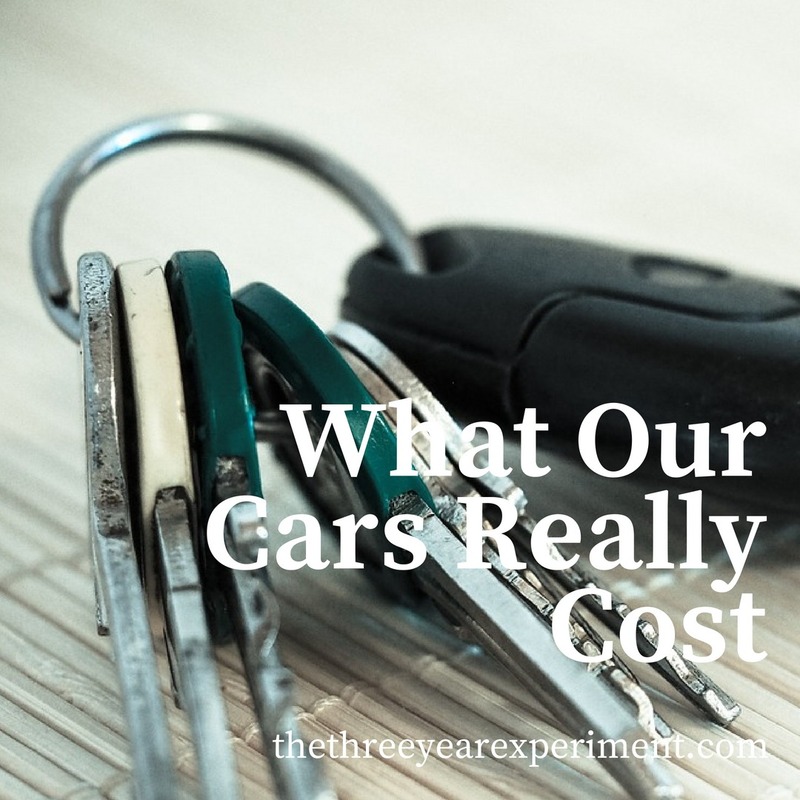 We borrowed because we didn’t want to deplete our savings account after just having bought our house (total cost of borrowing each car, $1000: not insignificant but not huge either), but we don’t plan to borrow again. Wednesday’s post has more details! Yeah, that was kind of judgy. I grew up with parents who did buy new cars but they bought them with cash so I was indoctrinated with cash only as a concept. My wife does buy new cars, her last one was bought new in 2006 and she says in another three or four years she is going to replace it. I buy used cars but for most of my thirty year career I was provided free new cars and free gasoline as part of my job and was allowed unlimited personal use of the vehicles. So it is easy for me to get self righteous when I was getting free cars! our paid off cars cost 285/mo to operate/maintain/insure. about half of that is insurance cost. we hardly drive for work, my drive is about 7 miles each way but we keep both just because of winter. Wow – your cars are expensive! I’m kinda shocked it went up to $12k a year, but hey, we all have our own splurges. I’m probably biased, as I don’t drive a lot and my car is really a nice to have, that doesn’t cost me a lot. Next Next post: Pay Off Debt or Invest?